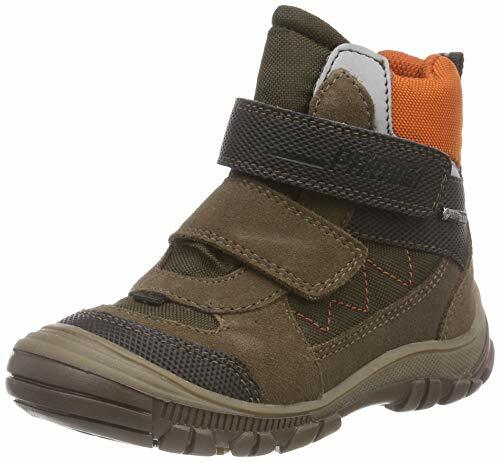 Protect little toes when the weather drops with long-lasting comfort in the robust Primigi® Kids PUYGT 23945 sneaker. Waterproof nubuck uppers feature breathable mesh panels. Ankle hiking boot with a round-toe styling. Abrasion-resistant bumpers at toe and heel. Hook-and-loop closure provides a secure fit. Cushioned collar and tongue. Heel tab allows for easy on-and-off. Breathable textile lining. Lightly padded insole offers support with every step. Durable shock-absorbing outsole. Imported. Incredible benefits provided by Primigi's™ uniquely created Sky Effect System™. The Sky Effect System is a special insole that possesses all of the characteristics of a normal Primigi insole as well as some unique features. They are flexible, lightweight, shock-absorbing, breathable and antibacterial. 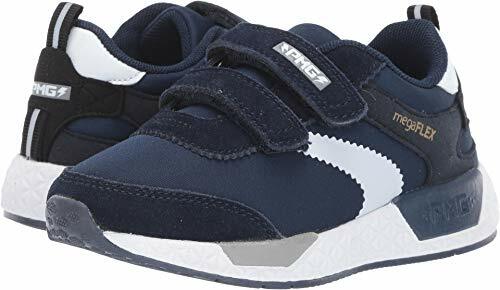 Measurements: Heel Height: 1 3⁄4 in Weight: 8.1 oz Platform Height: 3⁄4 in Product measurements were taken using size 28 (US 10.5 Little Kid), width M. Please note that measurements may vary by size. Weight of footwear is based on a single item, not a pair. 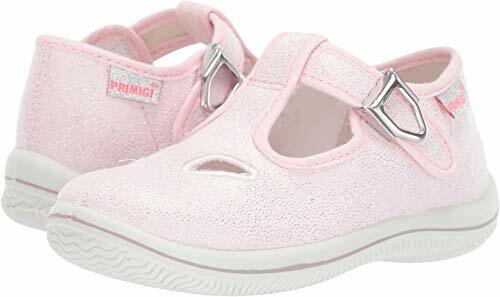 She's got style on her side with the Primigi® Kids PGR 34080 mary janes! Smooth leather upper with a sparkling heart design. Adjustable hook and loop strap closure. Padded collar. Lightly padded leather lining. Round toe. Durable rubber outsole. Imported. Incredible benefits provided by Primigi's™ uniquely created Sky Effect System™. The Sky Effect System is a special insole that possesses all of the characteristics of a normal Primigi insole as well as some unique features. They are flexible, lightweight, shock-absorbing, breathable and antibacterial. Measurements: Weight: 3 oz Product measurements were taken using size 20 (US 4 Toddler), width M. Please note that measurements may vary by size. Weight of footwear is based on a single item, not a pair. 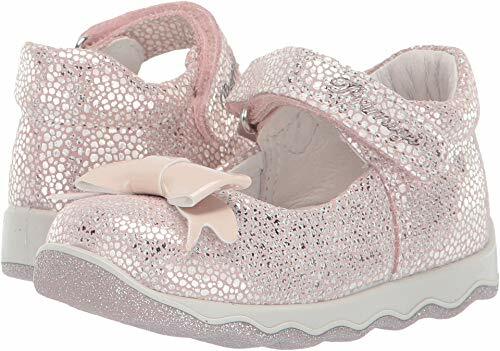 The Primigi® Kids PCD 34624 sandal sneakers are ready for whatever the day holds in store. Combination textile and synthetic upper. Bungee front lacing and hook-and-loop strap closure. Tongue and heel pull tabs for easy on. Lightly padded leather lining. Durable rubber outsole. Imported. Incredible benefits provided by Primigi's™ uniquely created Sky Effect System™. The Sky Effect System is a special insole that possesses all of the characteristics of a normal Primigi insole as well as some unique features. They are flexible, lightweight, shock-absorbing, breathable and antibacterial. Measurements: Weight: 8 oz Product measurements were taken using size 34 (US 2 Little Kid), width M. Please note that measurements may vary by size. Weight of footwear is based on a single item, not a pair. 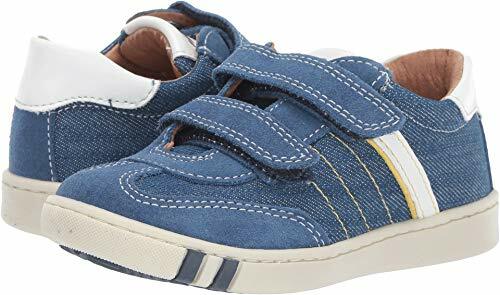 He's checking out the sights with easy-going style in the trustworthy Primigi® Kids PME 34546 sneakers. Supple leather uppers constructed with long-lasting textile overlays. Rounded-toe styling with reinforced toe bumper. Dual hook-and-loop closure. Pull tab heel with colorblocked detail along back. Cushioned synthetic lining. Durable man-made outsole. Imported. Incredible benefits provided by Primigi's™ uniquely created Sky Effect System™. The Sky Effect System is a special insole that possesses all of the characteristics of a normal Primigi insole as well as some unique features. They are flexible, lightweight, shock-absorbing, breathable and antibacterial. Measurements: Weight: 5 oz Product measurements were taken using size 29 (US 11 Little Kid), width M. Please note that measurements may vary by size. Weight of footwear is based on a single item, not a pair. 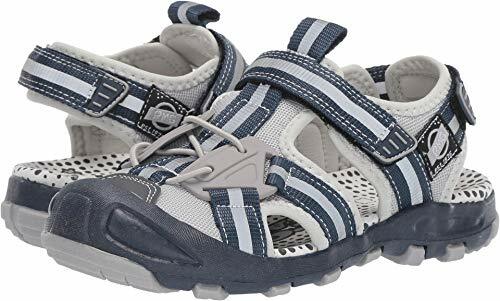 The Primigi® Kids PTM 34239 is perfect for completing his casual look! Suede and smooth leather upper. Padded tongue and collar. Dual hook and loop straps. Lightly padded leather lining. Round toe. Durable rubber outsole. Imported. Incredible benefits provided by Primigi's™ uniquely created Sky Effect System™. The Sky Effect System is a special insole that possesses all of the characteristics of a normal Primigi insole as well as some unique features. They are flexible, lightweight, shock-absorbing, breathable and antibacterial. Measurements: Weight: 6 oz Product measurements were taken using size 26 (US 9 Toddler), width M. Please note that measurements may vary by size. Weight of footwear is based on a single item, not a pair. 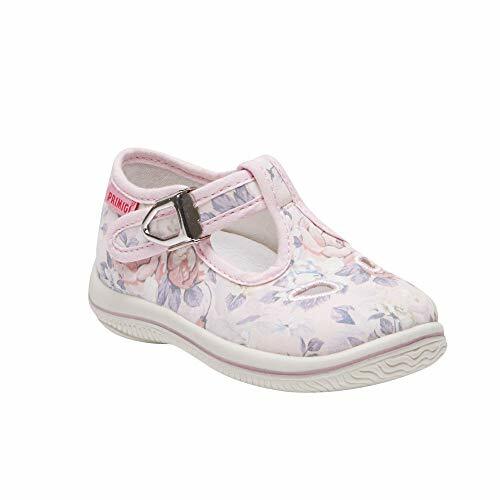 The Primigi® Kids PTN 33706 sneakers will maintain her sporty and girly style. Smooth leather upper. Hook and loop strap. Padded collar. Lightly padded leather lining. Durable rubber outsole. Imported. Incredible benefits provided by Primigi's™ uniquely created Sky Effect System™. The Sky Effect System is a special insole that possesses all of the characteristics of a normal Primigi insole as well as some unique features. They are flexible, lightweight, shock-absorbing, breathable and antibacterial. Measurements: Weight: 2 oz Product measurements were taken using size 18 (US 2.5 Infant), width M. Please note that measurements may vary by size. Weight of footwear is based on a single item, not a pair. 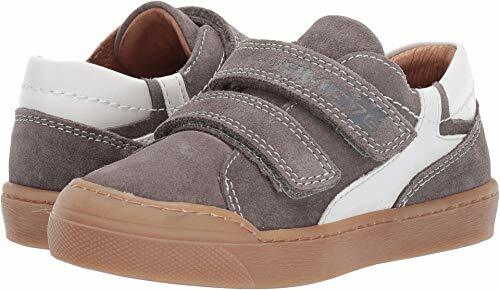 The Primigi® Kids PCB 34232 sneakers bring a sleek look to the playground. Low-profile sneaker with a suede leather upper. Leather hook-and-loop fasteners create a secure closure. Padded collar for extra comfort. Leather lining and footbed. Rugged rubber outsole. Imported. Incredible benefits provided by Primigi's™ uniquely created Sky Effect System™. The Sky Effect System is a special insole that possesses all of the characteristics of a normal Primigi insole as well as some unique features. They are flexible, lightweight, shock-absorbing, breathable and antibacterial. Measurements: Weight: 5 oz Product measurements were taken using size 26 (US 9 Toddler), width M. Please note that measurements may vary by size. Weight of footwear is based on a single item, not a pair. 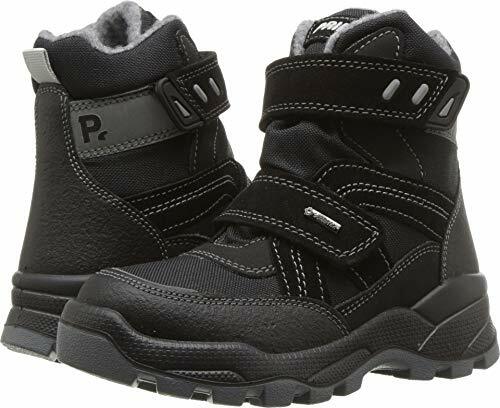 Just think of all the snowmen you could make when you're warm and cozy in the Primigi® Kids PNA GTX 24355 boots! Leather and textile upper. Double hook-and-loop straps for a secure fit. GORE-TEX® wool lining for additional comfort while keeping feet dry in wet weather conditions. Removable cushioned footbed. Durable PU outsole. Imported. Incredible benefits provided by Primigi's™ uniquely created Sky Effect System™. The Sky Effect System is a special insole that possesses all of the characteristics of a normal Primigi insole as well as some unique features. They are flexible, lightweight, shock-absorbing, breathable and antibacterial. Measurements: Weight: 9 oz Product measurements were taken using size 28 (US 10.5 Little Kid), width M. Please note that measurements may vary by size. Weight of footwear is based on a single item, not a pair. 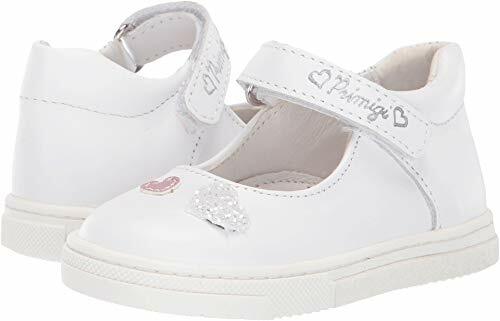 The Primigi® Kids PBB 33702 sneakers are so cute you'll want her in them every day of the week. Leather upper with metallic flecks. Hook and loop strap. Lightly padded leather lining. Durable rubber outsole. Imported. Incredible benefits provided by Primigi's™ uniquely created Sky Effect System™. The Sky Effect System is a special insole that possesses all of the characteristics of a normal Primigi insole as well as some unique features. They are flexible, lightweight, shock-absorbing, breathable and antibacterial. Measurements: Weight: 4 oz Product measurements were taken using size 25 (US 8 Toddler), width M. Please note that measurements may vary by size. Weight of footwear is based on a single item, not a pair.